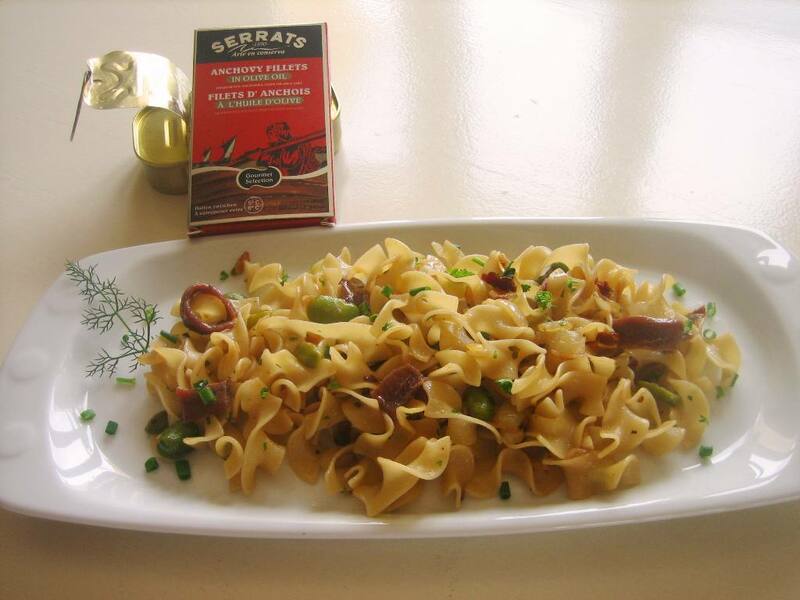 Anyone can overcome the January blues with a hearty plate of pasta with Cantabrian anchovies! Margarita, from Entre amigos, suggests a delicious combination of surf and turf flavors. Perfect to warm up and bring some flavor to the toughest winter days! Boil the beans in water with salt. Drain and set aside. In a pan with olive oil, brown the chopped onion and minced garlic; add the beans, the chopped dry tomato, freshly ground black pepper and oregano. Sauté and add a bit of white wine. Leave until the wine evaporates. When the wine evaporates, remove from heat and add the chopped anchovies and the parsley. Place a pot with plenty of water on heat; When it starts to boil, add a spoon of salt and the pasta and stir well. 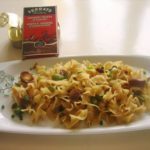 When the pasta is cooked “al dente” (sticking to the cooking time indicated by the manufacturer, 7 minutes in the case of the pasta used by Margarita) remove from heat, strain and mix the pasta in the pan containing the sauce, so that it is well impregnated with the flavor. Add the olive oil from the anchovies on top. A flavorful dish. Thank you Margarita! Cantabrian anchovy fillets in olive oil, carefully selected by Serrats, in olive oil.